An example of the bird trap as it would look when set. 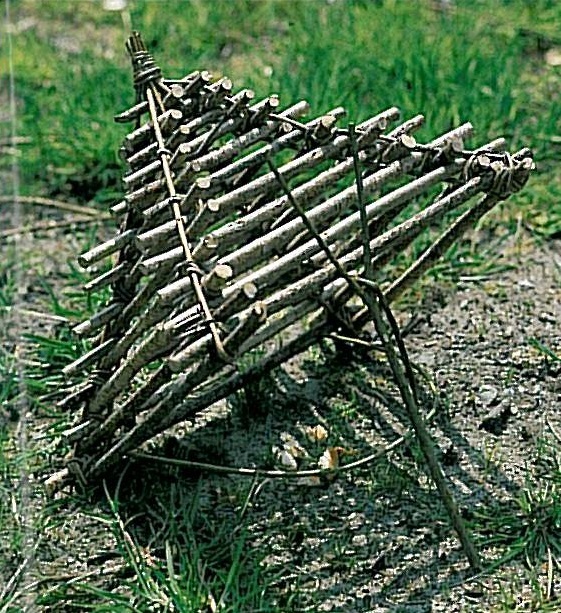 A trap made of wooden rods forming a pyramid shape, used to catch small fowl. It measures 51cm by 51cm at the base and a height of 30cm. The rods are tied together with string where they cross at the angles. A thin looped rod is tied by the ends to the two corners of the base. The trap was set by inserting a small flexible twig between one of the base rods and a forked stick about 24cm long. Bait would have been inserted to attract the bird. When it hopped up onto the looped rod or perch, the trap was then released and the bird captured. 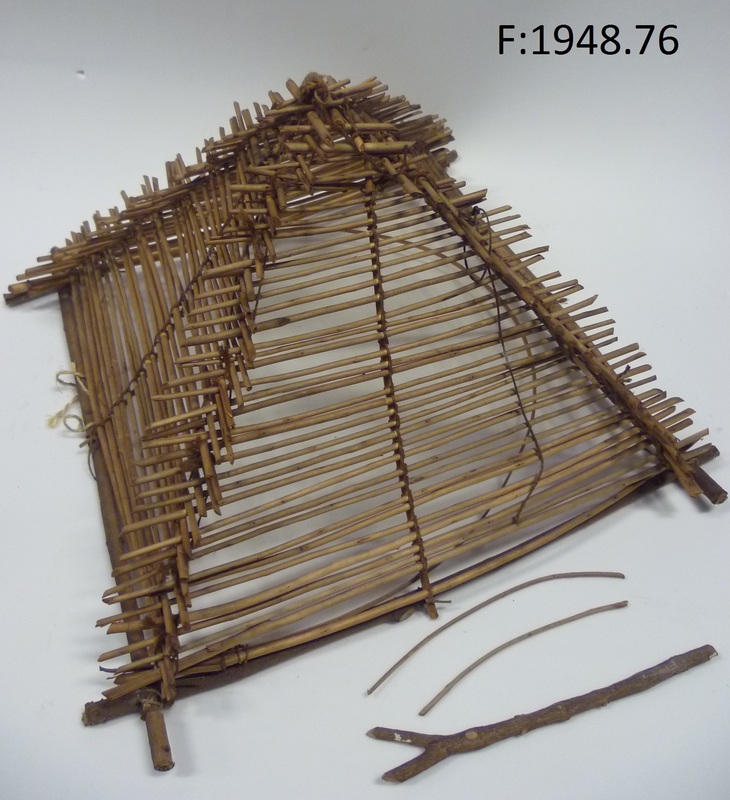 This bird trap is from Tobbernabrone, Fiddown, Co. Kilkenny.